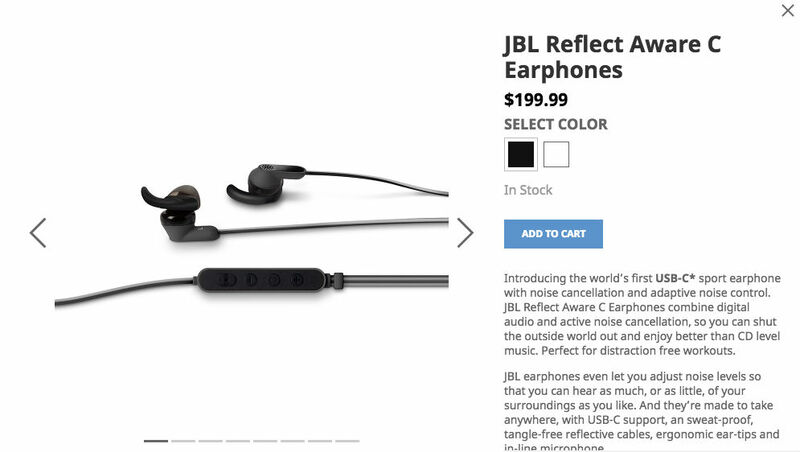 The JBL Reflect Aware C earbuds, the ones that have been listed on HTC’s website since the launch of the HTC 10, are finally available for purchase. Available in both White and Black, the price is set at $199, made specifically for devices that feature a USB Type-C port. As for specs, listed for these earbuds are 14.8mm dynamic drivers, active noise cancellation, adaptive noise control, and they are sweat proof. Moving forward, you can expect to see a lot more audio accessories with Type-C support as the industry ever-so-slowly pivots away from antiquated 3.5mm audio jacks. If you are interested in these buds, follow the link below.